Flying's got to be fun, right? It's all about being comfortable, honestly comfortable, in your skin as you're established at full power on that take-off roll. If it's all a bit new to you, this feeling can take a while. The main thing is to recognise that. If you don't think you have the confidence to fly off into the great blue yonder on your own, or perhaps you're a student pilot wanting to knock off a block of nav hours in one go, sitting alongside an instructor, then you might like to think about taking a load off and joining one of our training safaris. Good times on the menu with instructors Shelley & Catherine. 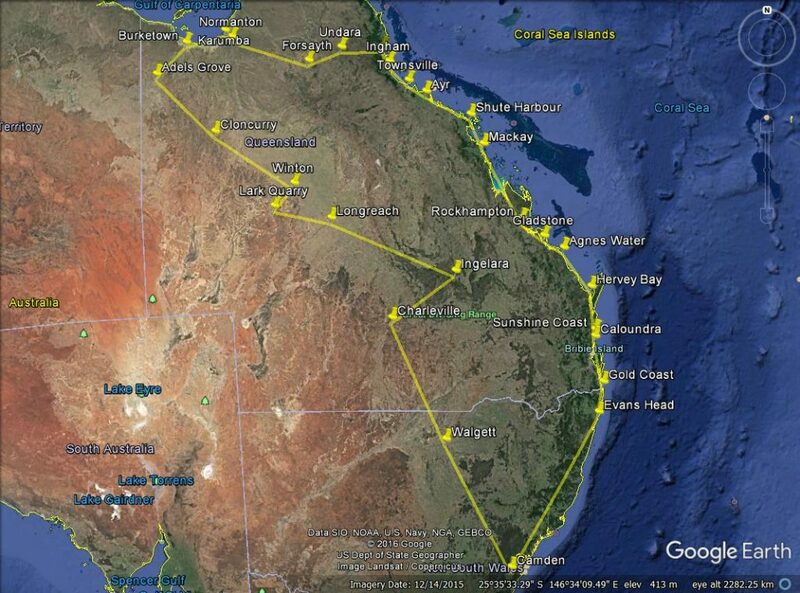 These tours offer an equal emphasis on training as on the knockout scenic flying on offer around Australia. We are not a charter operator; nor do we organise outback tours on request. My colleague Catherine Fitzsimons and I specialize in designing and running carefully tailored air adventures, following a route and time frame of our choice. All our tours start and finish at Bathurst in the Blue Mountains west of Sydney or Camden in Sydney's south-west. We offer any available places to those on our email list who have contacted us to discuss their interest and level of piloting experience. A LOT of our clients are repeat customers ... which makes us feel pretty warm and fuzzy. We're both flying instructors. Catherine is based in the NSW Blue Mountains town of Bathurst where she runs WardAir Flight Training. I'm based at Curtis Aviation in Camden, south-west Sydney. A typical enroute flight planning session. This one's in the beach house on three Hummock Island! Who needs a white board? 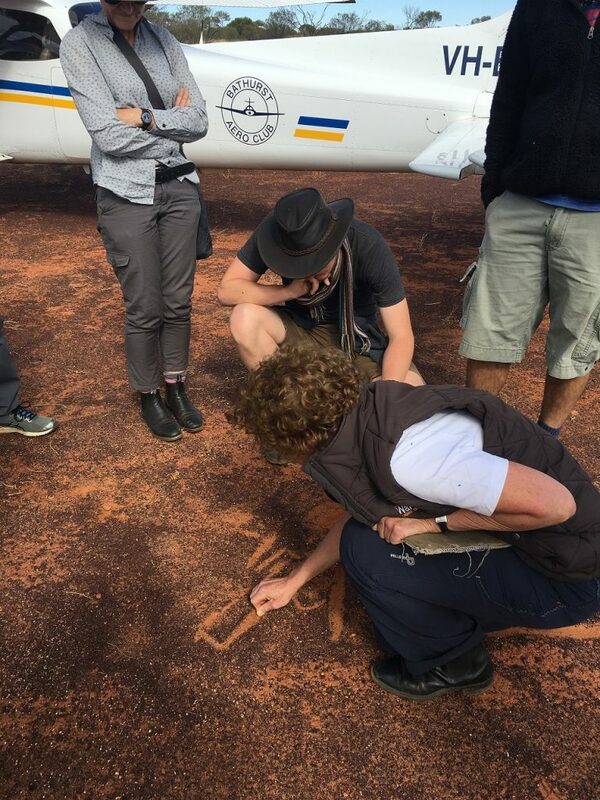 Catherine takes outback strip departure advice down to ground level in central Qld. Here's a sample of what we've been up to in the recent past. 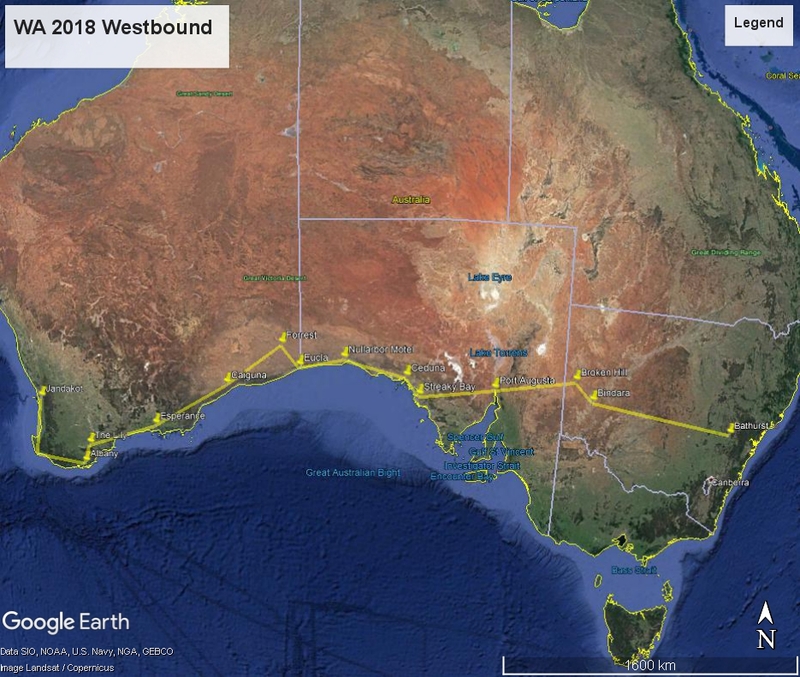 November 2016: We took six aircraft and 13 people across the country from Sydney/Bathurst to Margaret River near Perth and return, over a two-week time frame. 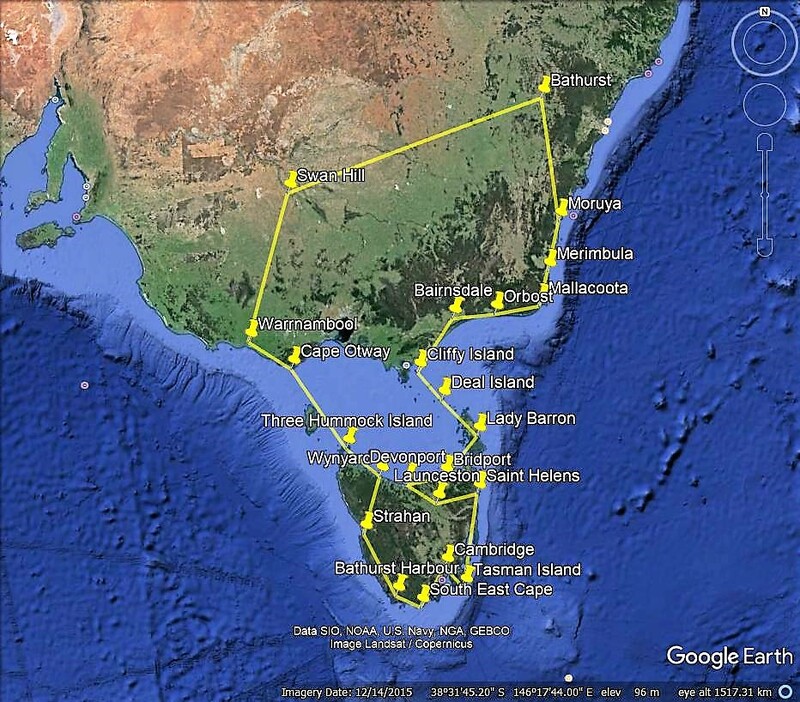 Early March 2017: Five aircrews joined us on an eight-day safari from Sydney, tracking south coastal to Bass Strait, circumnavigating Tasmania and returning via regional Victoria and NSW. April 2017: Long weekender! Three aircraft all headed across to outback South Australia for the Loxton Aero Club's biennial fly-in weekend. Mid May 2017: Queensland Odyssey. Coastal northbound to the Great Barrier Reef and the Gulf of Carpentaria, then home through the outback with 13 people in six aircraft. July 2017: This one was a holiday! 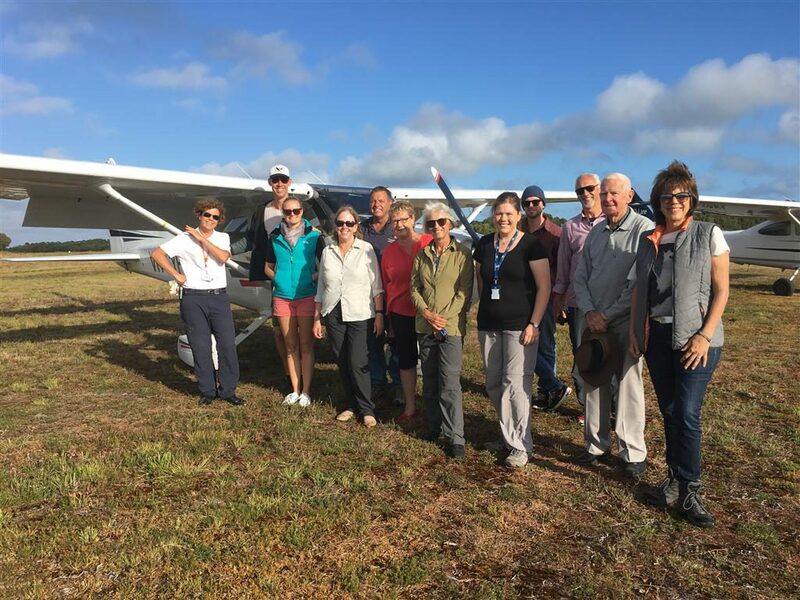 Our annual Winter safari with friends in four aircraft, three weeks trying out some awesome new destinations including Kimberley Coastal Camp, Bamurru Plains in Kakadu and Bremer Island off the north-east coast of Arnhem Land. October 2017: Back to work for this one - we took seven aircraft crews on a three-day blitz on all the civil and military controlled airspace between Sydney and Brisbane. Hard work, and our flights were packed with plenty of procedural know-how, but every pilot reported they felt very accomplished afterwards! Sept-Nov 2017: Catherine and I headed up to Dalby in south Queensland to do some remote instructing, where we were based on the students' property, and to Coonabarabran for a week where we looked after the various training needs of a dozen or so of the aero club members there. January 2018: We can't get enough of Tassie, so we headed back down with four aircrews to brush up on overwater flight regs as we crossed Bass Strait, then flew around the entire coast of Tassie and ambled home via Swan Hill on the Murray. We called in on Flinders and Three Hummock Islands just coz we could, and threw in some controlled airspace practice at Launceston and Hobart. April 2018: Catherine and I spent a week based out at the Coonabarabran Aero club in central NSW, teaching local pilots ... from beginners, through to nav training and controlled airspace practice over at Tamworth. It works a treat, and fits in easily with everyone's busy timetable around their work or school days! 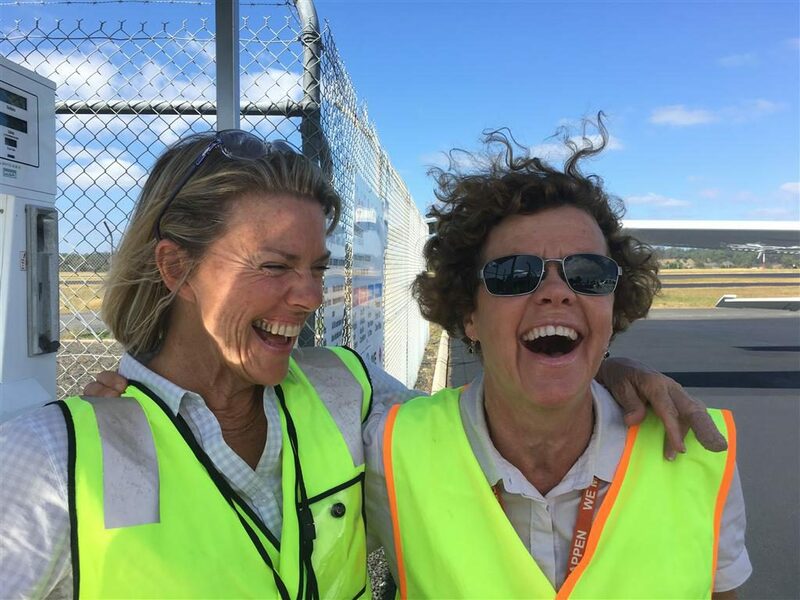 May 2018: We took four aircrews across the country to Perth and back, so we girls could attend the Australian Women Pilots' Association annual conference. 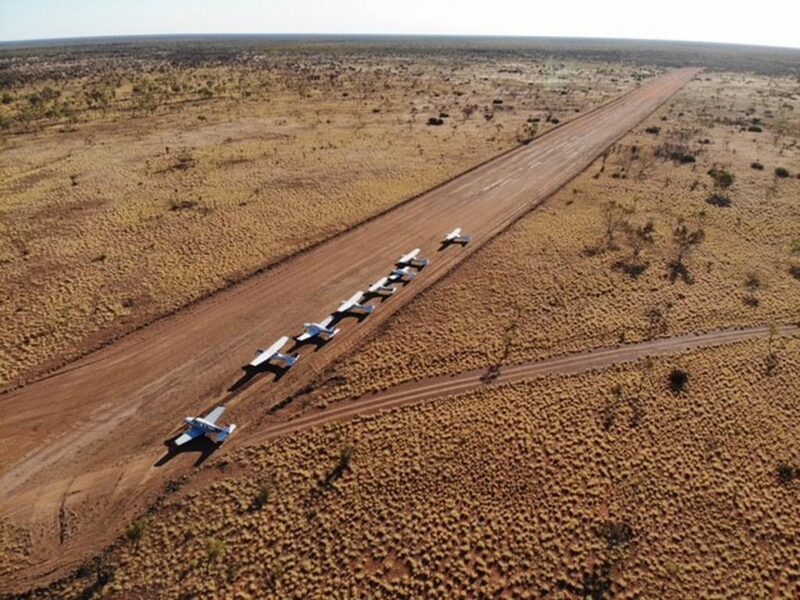 June 2018: Rossy and I and a bunch of friends headed up to the NT and Kimberley in three aircraft for three weeks. In a word: bucket list. Read more about my new favourite station stays here: Bullo River Station, NT and Shandonvale Station, Qld. 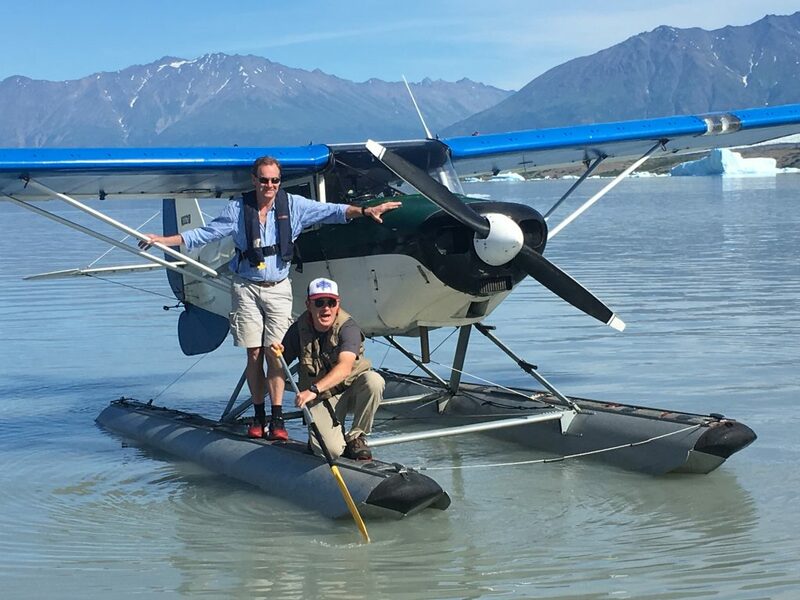 July 2018: Oshkosh Air Show, then a week flying float planes and doing bush flying training out of a remote town called Talkeetna, north of Anchorage, Alaska. Awesome doesn't even begin to describe that experience. August 2018: Another WardAir training session up at Coonabarabran. 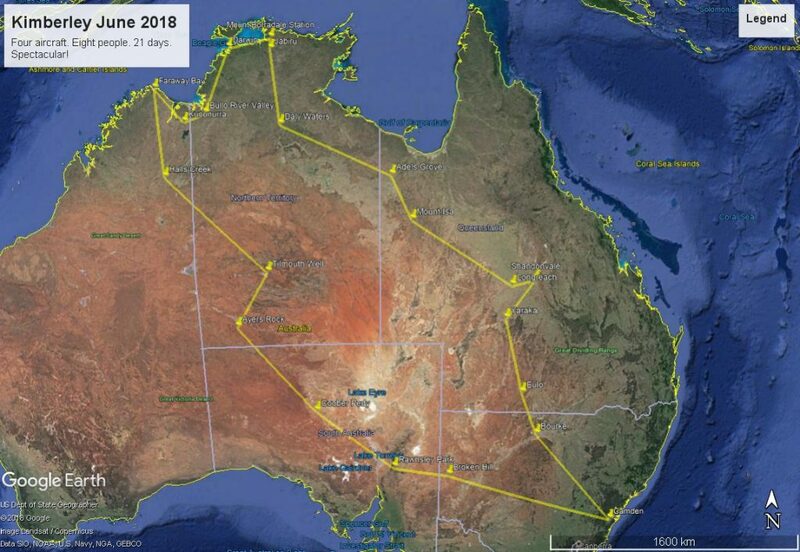 Sept 2018: A combined WardAir/Curtis Aviation epic outback air safari. Destination: Red Centre. 8 aircraft, 20 crew, 10 days. 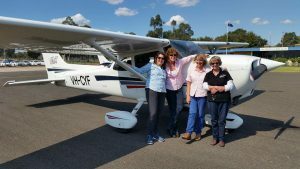 Oct 2018: Back up to Coonabarabran to see our favourite regional gang of up-and-coming pilots! Have a read here about their fantastic progress! 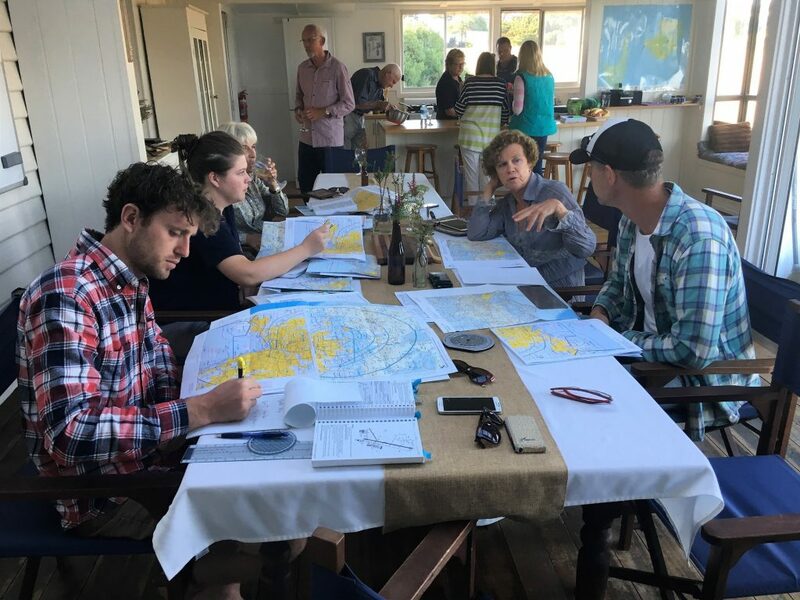 The main feedback we get from our trip participants is the "comfort in numbers" thing, having two instructors on hand for any guidance along the way, and the fun of flying in a group. We design the itinerary, give you all the waypoints and refuelling stops, organise all the accommodation enroute, and all you have to prepare is your own flight plan, pack a bag and fly the aeroplane! We don't exactly keep you on the known tourist trails ... welcome to the Territory! You can hire a C182 or Piper Warrior through Curtis Aviation at Camden, or a C172 from WardAir at Bathurst. Your choice whether you choose dual with an instructor, or solo hire as pilot in command. Or of course, you can come along in your own aircraft (with a reasonable TAS to suit the rest of the fleet). All our fellow travellers are like-minded adventurous souls, with whom we end up sharing many hours together, whether it's in the back of a farmer's truck, on an isolated island bush walk, or perhaps while refueling at some far-flung tiny air strip you've never heard of ... or maybe over a very nice Shiraz, supervising the sunset at an outback billabong. 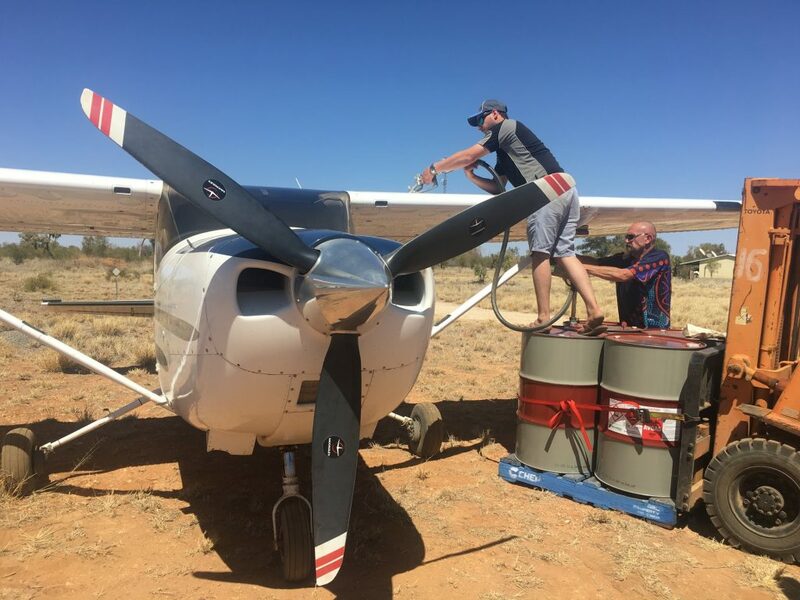 You'll probably learn about drum refuelling too, like here on the Tanami Track. 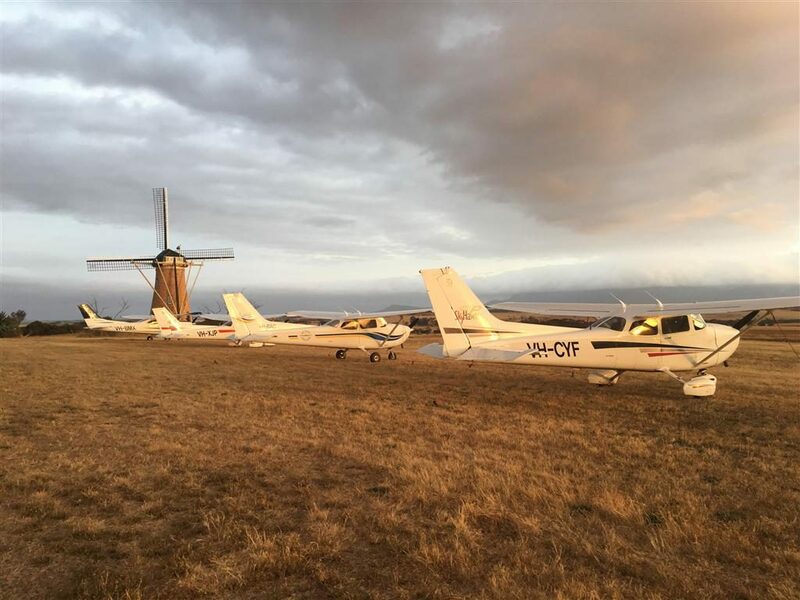 Once you've done a few safaris in company with more experienced pilots, you'll be ready to launch off with family or friends, and go discovering our big wonderful country for yourself. Two or three aircraft flying together in company is a fantastic way to spend a week or two. 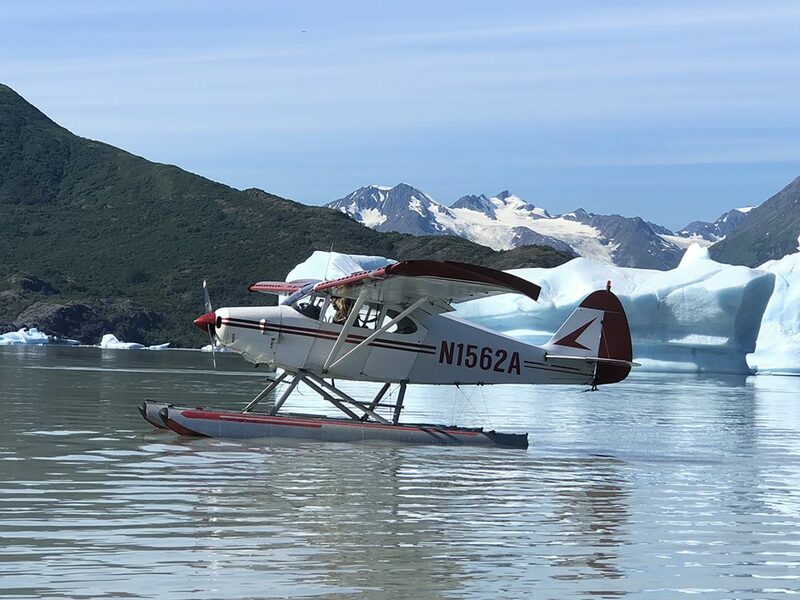 Over on the right here, you'll see here a long list of air safaris I've done since 2005; by no means the full list, but it will give you some ideas to start planning your own itinerary. Go for it. It's not only the pilots who love these trips; your passengers end up having the best time, and thrive on the unique situation they find themselves in, flying in a little fleet of light aircraft and stopping each day to discover a new destination. Using a dedicated radio frequency between all the aircraft, everyone on board can listen in through their headsets to pilot transmissions and conversations between the various crews and, in busier locations, with air traffic control. Your passengers will think they're pro's in no time! So, go get your diary out and start organising that leave pass!